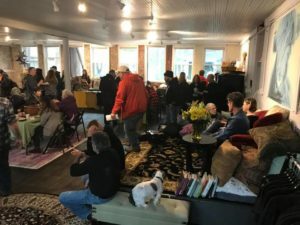 Saturday January 27th marked the official grand opening of the brand new Rochester Vegan Community Center. This first of its kind resource center opened its doors to an eager crowd awaiting samples and goodies from a variety of vendors. About 350 visitors that day were treated to delicious food, samples, and cruelty-free shopping from Red Fern, Kitchen Verde, Smugtown Mushrooms, Lori’s Natural Foods, Arbonne, and Happy Cakes Bakery. Information on veganism was offered by Rochester Area Vegan Society, Vegan Living Program, and of course, ARRoc. Demosthenes Maratos from Malloy College gave an enlightening speech aptly named “Veganism is Environmentalism”. 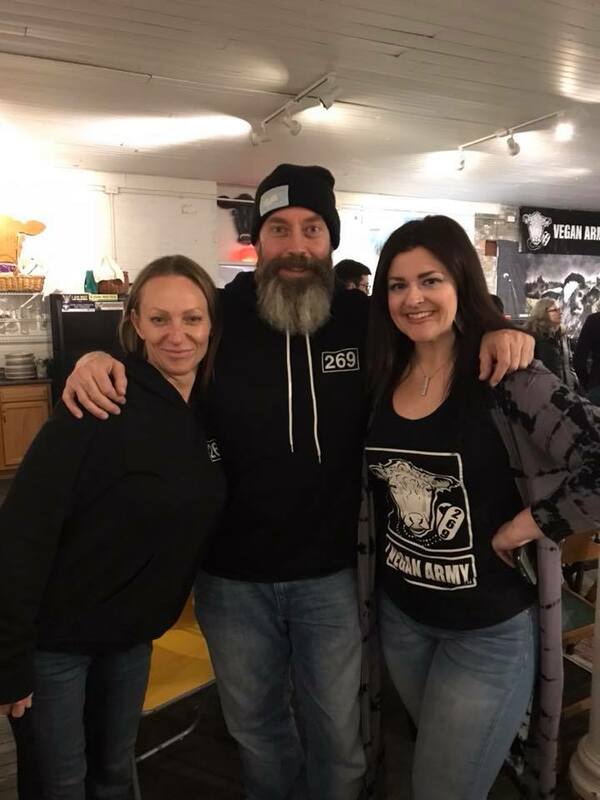 His wife Robin Helfritch, and Erin Marcus introduced the upcoming Vegan Living Program, which will soon be offered at the Center. The grand opening was followed by a ticketed dinner catered by Everyday Gourmet, and a performance of The Animal Show by the talented Michael Harren. The Mission of the Rochester Vegan Community Center is to inspire, support, and grow veganism. You can look forward to other events such as cooking classes, yoga, lectures, gatherings, and as well as just a space to hang out with other vegans. RVCC will also be available to rent by the hour for your own events or classes. Check out their Facebook page, visit the website, or call (585) 773-4126 for more information.